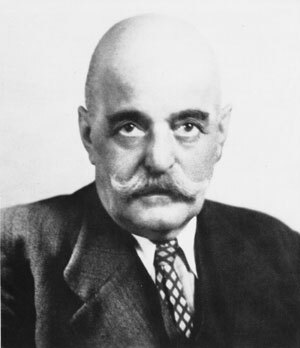 The Gurdjieff JournalFourth Way PerspectivesEssential Questions: Who Is Mr. Gurdjieff? What Is the Origin of The Fourth Way Teaching? Who Is Mr. Gurdjieff? What Is the Origin of the Teaching? Those who do not know history are not only condemned to repeat it but also allow history to be distorted. A graphic example is the new edition of P. D. Ouspensky's In Search of the Miraculous. Its cover shows a Middle Eastern man, presumably a Sufi, and the book is described as being "The Classic Exploration of Eastern Religious Thinking and Philosophy." The foreword is by Marianne Williamson, the millionaire spiritual doyenne of the New Age (now renamed "New Thought"), teacher of the channeled teaching known as the Course in Miracles. 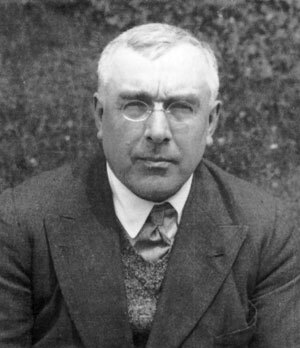 She tells the reader that if you hadn't read this book "then you hadn't learned your mystical basics"; Ouspensky's text is just a primer by which one can evolve into the spiritualism of the mystical channeled teachings. This reorientation"repackaging" to use a marketing termwill no doubt broaden the appeal of this esoteric text and, of course, boost sales. It will, no doubt, make Gurdjieffians angry as well, but this new "Sufi" edition is a lawful result. For too long the essential questionswho is Gurdjieff? and what is the origin of Fourth Way teaching?have been left unanswered. Time and again we see Mr. Gurdjieff referred to as "a philosopher and mystic" or some such safe appellation. Nothing much is said about the teaching's origin, but the suggestion is it is either a compilation of teachings, or mostly Sufi. Why is it so difficult for otherwise intelligent people to understand that Gurdjieff is a Christian and the origin of the teaching is also Christianity (though the term "Christianity" should be taken in an expanded sense)? Why do people keep saying Gurdjieff's identity and the teaching's origin cannot be known? Let it be declared without reservation: Gurdjieff was a Christian. Why? If a man is baptized a Christian, and his earliest teachers are the dean of the Kars Cathedral and a priest who later becomes the abbot of an Essene monasterywhat is he? If, when finally establishing the teaching at the Prieuré, he declares that "The program of the Institute, the power of the Institute, the aim of the Institute, the possibilities of the Institute can be expressed in a few words: the Institute can help one to be able to be a Christian"what is he? If in writing All and Everything he begins with the Christian prayer "In the name of the Father and of the Son and in the name of the Holy Ghost. Amen. "what is he? If, at his death, his funeral is held at the Russian Orthodox Church and his burial is performed according to that church's prescriptionswhat is he? How, then, could anyone believe that Gurdjieff is anything but a Christian? Is there an unconscious bias at work here against Christianity? The teachingits approach practical and scientific with its admonition to believe nothing until one can verify ithas appealed to intellectuals who disregard Christianity. The people initially attractedOuspensky and Orage, for examplewere very much influenced by Theosophy and Nietzsche and had a low opinion of Christianity (although later on Ouspensky's viewpoint would change). Considering themselves caretakers of the teaching, intellectuals have been vigilant about maintaining its "purity." This is both laudable and understandable, but in doing so have they been blind to its obvious Christian ancestry? And after much discussion he adds: The question of the origin of the Christian church, that is, of the Christian temple, is much more interesting than we think. To begin with, the church and worship in the form which they took in the first centuries of Christianity could not have been borrowed from paganism because there was nothing like it either in the Greek or Roman cults or in Judaism. The Jewish synagogue, the Jewish temple, Greek and Roman temples of various gods, were something quite different from the Christian church which made its appearance in the first and second centuries. The Christian church isa school concerning which people have forgotten that it is a school. The idea that what Gurdjieff brought was the esoteric teaching of a Christianity that existed before Christ seems to be a taboo subject. Other than in articles in this journal (See The Gurdjieff Journal vol. 6, no. 2, "Gurdjieff and Christianity" and the investigation of the subject in the video Gurdjieff in Egypt.) it remains unexplored. If the subject is engaged at all, it's never with intelligent argument but name calling, which in itself suggests a psychological repression. Is this why the covers of Gurdjieff's books frequently show Oriental rugs or Arabic writingthough Gurdjieff wrote his Legominism in Armenian and Russian and was fluent in those languages as well as Turkish? Yes, he did sell rugs, but the usual association of Oriental rugs is to Sufism, not Christianity. Yes, there are references to Sufis in Gurdjieff's writings and possibly he was initiated into one or another of their orders. But the Christianity of which he speaksand out of which he teachespredates Sufism, contemporary Christianity and Judaism by many thousands of years. In his search, yes, he did visit Mecca, but in disguise, because he was not Muslim. There are those who would divide Sufism from its Islamic base, but as William C. Chittick, a noted scholar of Islam and Sufism, shows in his Faith and Practice of Islam, one can't be a true Sufi and not be a Muslim. If a Sufi, then Gurdjieff must have kept the Five Pillars of the Islamic faithful. Did he? Of course not. Moreover, as we see by the First Series, he certainly did not accept Mohammad as God's only prophet. Are some of the songs and dances he taught Sufic in origin? Yes. But this doesn't make The Fourth Way a Sufi teaching. One could only argue for the teaching's not being Christian in origin if most of what Gurdjieff lived and wrote is glossed over. Because the teaching's origin has never been definitely stated, such New Age exemplars as Williamson feel free to pick and choose what pleases them from Gurdjieff's teaching (just as Robert Burton, E. J. Gold and a host of others have done before her) and drop the rest. It can be clearly and unequivocally stated: Gurdjieff was not a Sufi but a Christian, who, like the teaching that he brought, is centered in a "Christianity before Christ." These are essential questions that must be argued, if necessary, but finally and definitively answered. Otherwise what this new edition of In Search of the Miraculous presumes will be the beginning of both Gurdjieff and the ancient teaching of The Fourth Way being made Tchik. 1. Esoteric Christianity. P. D. Ouspensky, In Search of the Miraculous, p. 102. 2. See Prayers in G. I.Gurdjieff's All and Everything (Fairfax, Calif.: Arete Communications, 1998). 3. Orthodox funeral and burial. See J. G. Bennett, Idiots in Paris (York Beach, Maine: Samuel Weiser, Inc.), p. 52. Here, two months before his death, Gurdjieff recounts, as he did many times before, that Roman Catholicism had degenerated entirely, only the Orthodox Church had retained at least something. 4. The program of the Institute. G. I. Gurdjieff, Views from the Real World (London: Arkana, 1984), pp. 15254. 5. It will seem strange. Ouspensky, Search, p. 302. 6. Greek or Roman cults or in Judaism. Ibid. The common idea is that Christianity grew out of Judaism. That it does not changes the relationship entirely. For a learned discussion of the subject see Karl W. Luckert's Egyptian Light and Hebrew Fire: Theological and Philosophical Roots of Christendom in Evolutionary Perspective (Albany, N.Y.: SUNY Press, 1991). 7. Anything but a Christian. Writes Kathryn Hulme in Undiscovered Country (Boston, Mass. : Little Brown & Co., 1966), pp.11213: "Gurdjieff had given us a pledge to say each time before beginning the new exercisethat we would not use this for the self, but for all humanity. This 'good-wishing-for-all' vow, so deeply moving in intent, had a tremendous effect upon me. For the first time in my life, I felt that I was truly doing something for humanity as I strove to make my own molecule of it more perfect. The meaning of this Work, which at first had seemed quite egotistical and self-centered, suddenly blossomed out like a tree of life encompassing in its myriad branchings the entire human family. The implications of it were staggering. By my single efforts toward Being, I could help sleeping humanity one hairsbreadth nearer to God. I believed this. Every time I said the pledge before beginning my exercise, I believed that if I made something for my own inner world, I would be making it for 'all humanity.' It was my first experiencing of the Mystical Body of Christ of which I knew nothing then, but would encounter many years later like a familiar concept though always shrouded in its immense mystery." 8. William C. Chittick, Faith and Practice of Islam (Albany, N.Y.: SUNY Press, 1992). 9. Five Pillars. Consists of saying the double Shahadah or testimony that there is no god but God and that Muhammad is His messenger, performing the ritual prayer, fasting during the month of Ramadan, paying the alms-tax, and making the hajj if one has the means to do so. Ibid., p. 3.